Forum for fishing for the many species of fish available in the state of Oregon. New Members Welcome! Hi Chuck...I had recently relpied to your post about your delema on buying a new truck that you had posted on OFF. Then the site went down and the hole thing was lost. So I decided to answer your post here. I want you to remember that this is just my opinion. You have mentioned that you now are done with school and settled into a job in your chosen profession, and you are in the process of starting to buy the toys your heart desires. So here's my opinion. I don't know what kind or size of boat you are interested in, but you should seriously think about that when purchasing a truck. I've noticed that you have been leaning toward a small truck. If you are thinking of a small boat, say 12 to 15 foot, either aluminum or fiberglass, a small truck will do the job quite well. My 1st boat was a 14 ft fiberglass and I had a Jeep Grand Cherokee with a 6 cyl. engine and it and it did quite well. I did once go over the Santiam pass, Hwy. 20, pulling my little boat and it was quite the strain on my Jeep. The transmission overheated as I was going up the steep incline just before the summit. I now have a 16.5 footer with a 60 HP outboard on it, and my Jeep was very inadequate pulling this boat. Going to the coast was quite the experience, some of the grades I went up I was down to 25 MPH, and I wouldn't have thought about going over the passes in the Cascades. Plus when pulling anything you want the tow rig to weighs more than the boat. Trying to stop a trailer that has a total weight that is more than your tow rig can be very hazardous. You should always buy more truck than you need. I've been told this by many who tow trailers on a regular basis. I now have a '97 Ford F-150 with a small v-8 and it does well pulling this boat, but if I buy a boat any bigger I'll be buying more truck, a 3/4 ton or more. A friend of mine had a Nissan pickup and towed a 19 ft. boat with it and wore the trucks engine out in a few short years. Plus he was scared to death every time he had to stop abruptly, even with trailer brakes. I hope you keep this in mind when purchasing your truck. Also my truck doesn't do to bad on gas mileage, it gets around 15 in town and 20 on the highway, that is empty, not pulling my boat. You'll find you'll be much more comfortable pulling a boat 16 ft or larger with a full sized truck...That's my Opinion! Fishing isn't just a hobby...It's a lifestyle! 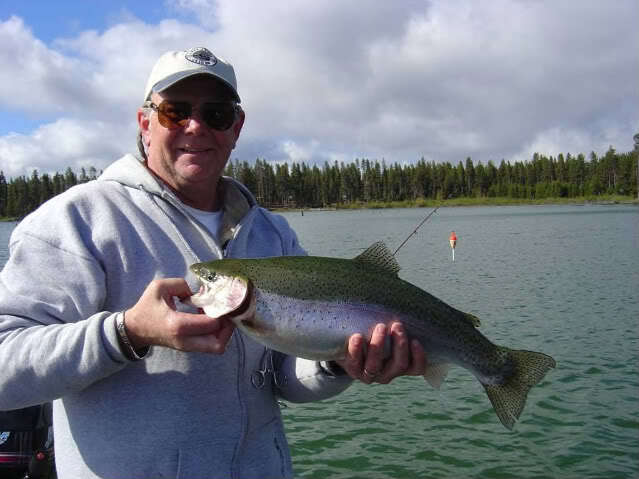 Jump to: Select a forum||--Fishing by Species| |--Trout & Steelhead| |--Salmon| |--Bass & Panfish| |--Saltwater Species| |--Other Species| |--Fishing by Location| |--Northern Oregon| |--Southern Oregon| |--Western Oregon| |--Eastern Oregon| |--Central Oregon| |--Topics Other Than Fishing| |--Monthly Photo Contest| |--Meet & Greet| |--For Sale or Trade| |--Site Feedback| |--Other Stuff| |--Other Topics Related to Fishing |--Anouncements |--Tall Tales of Fishing |--The Skunk Thread |--Links to Fishing Info.